via BlackBerry announces Q4 Fiscal 2015 Results | CrackBerry.com. 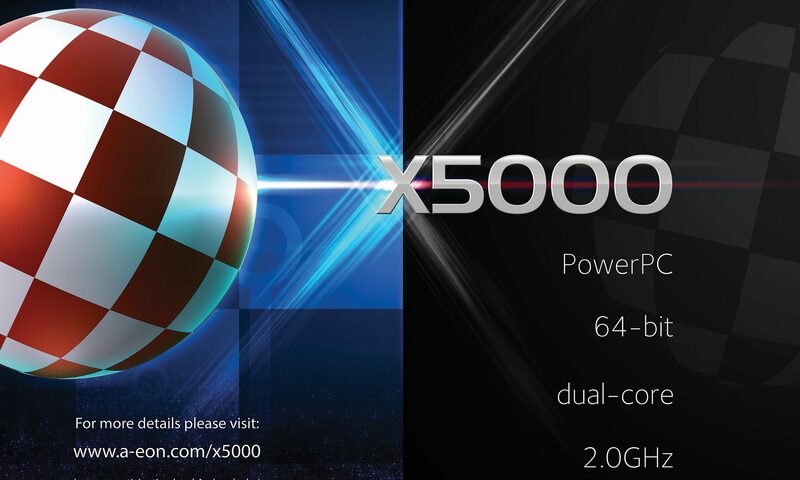 AmigaONE X5000 is almost here..
After the success of the AmigaONE X1000 it quickly came apparent that using a end of life CPU was not a going to be a long term solution going forward as unfortunately demand out striped supply and the CPU prices started to go up and so it was never possible to decrease cost of the nemo board, a new solution was needed to really support the Amiga platform going forward so a £1.2 Million contract was signed to ensure this and a new motherboad would be needed. Project Cyrus began, the goal was simple to replace the X1000 with the goal of making it more affordable if possible and future proof the motherboard and have long term support in place, part of the contract with the makers of the system Varisys is that the board is to have at least 10 year support and this time the CPU in PPC terms to be used was to be the very latest CPU core and the motherboard was designed from the outset to be able to use three different CPU chips this not only gives A-EON options for the future but also protects them selves with falling into the same trap. BlackBerry has launched a tablet in partnership with IBM and Samsung, aimed squarely at government and enterprise customers and coming a few years after a failed bid in the consumer tablet market fell short. Looking to strengthen its hand as the go-to brand for businesses, the Canadian smartphone maker unveiled its “high-security” SecuTABLET, just weeks after pulling the curtains back on a new iteration of its BlackBerry handheld. The tablet device is based on the Samsung Galaxy Tab S 10.5, and is being shown off by Secusmart—a company BlackBerry bought last year—at tech conference CeBIT in Germany this week. “Security is ingrained in every part of BlackBerry’s portfolio, which includes voice and data encryption solutions,” Hans-Christoph Quelle, CEO of Secusmart said in a statement. via CeBIT: BlackBerry launches tablet with Samsung, IBM. As found on youtube, a hardware overview of the new Blackberry Leap! BlackBerry President for Devices and Emerging Solutions, Ron Louks, then took the stage and made the announcements many had been waiting for: the 2015 device roadmap. First was BlackBerry Leap (above) – the new 5-inch, HD device featuring 25-hours of battery life. At just $275 USD (much less on contract), the Leap, which will be available in April, targets young career builders who want to make a difference. via From BlackBerry Leap to ‘Slider’ Phone: MWC15 Launch Recap, with Device Roadmap [Photos] | Inside BlackBerry.